There’s some real nice South American tenderloin to be had at my local store here in Oslo this year, thanks to the Rema 1000 chain of food stores. This meat is of much better quality than what you normally can get here in Oslo for a decent price. So I plan to take advantage of that this summer. So, I went and bought myself a piece of tenderloin, cut it into some nice large steaks and gave it a quick sear on the grill. 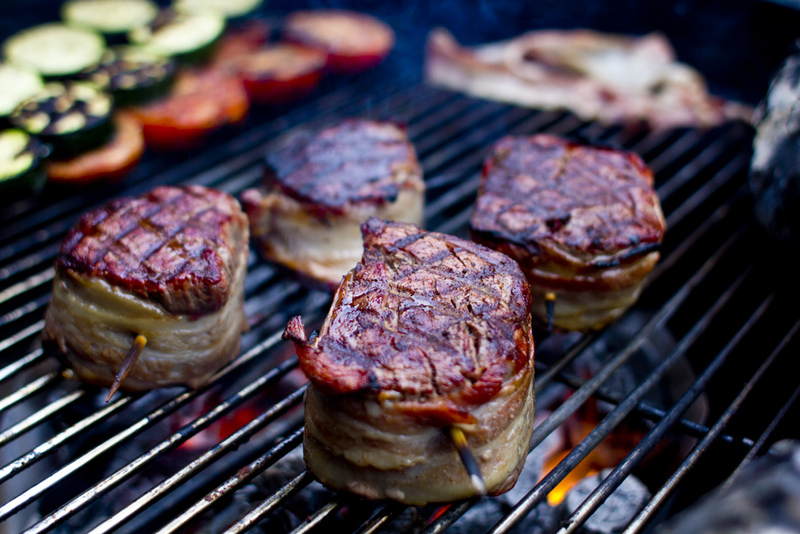 This is what chef/author Steven Raichlen likes to refer to as “millionaire grilling”. You’re really buying yourself success, because you have to be an idiot not to get tenderloin right on the grill, all it takes is quick sear, to serve this meat done anywhere over medium rare would be a crime to bovines everywhere. 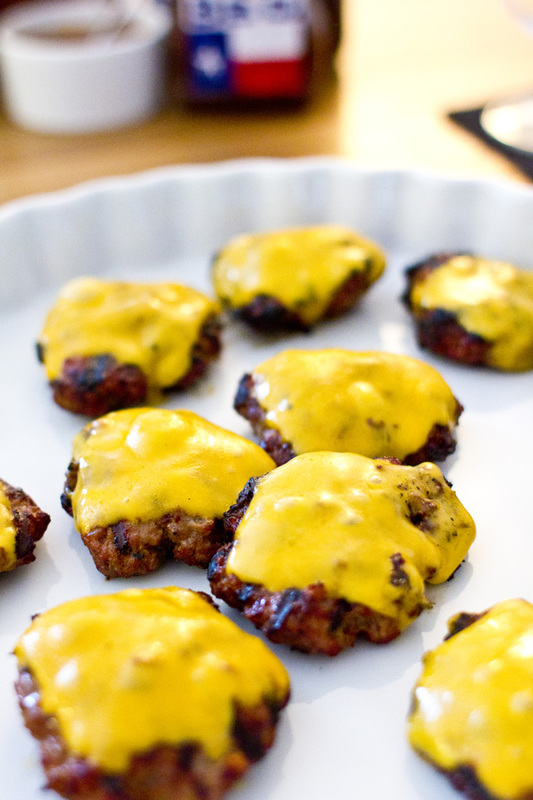 These sliders are tasty, juicy (even when you have to cook them through), and are real popular with the kids. 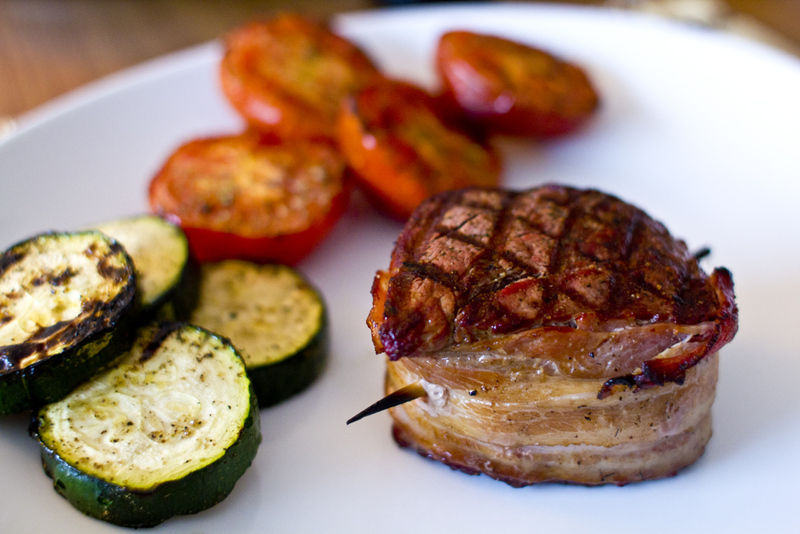 They’re easy to make too, and require only a quick sear on the grill. You could always buy some slider buns, but I really suggets making your own, see my recipe for buns here. 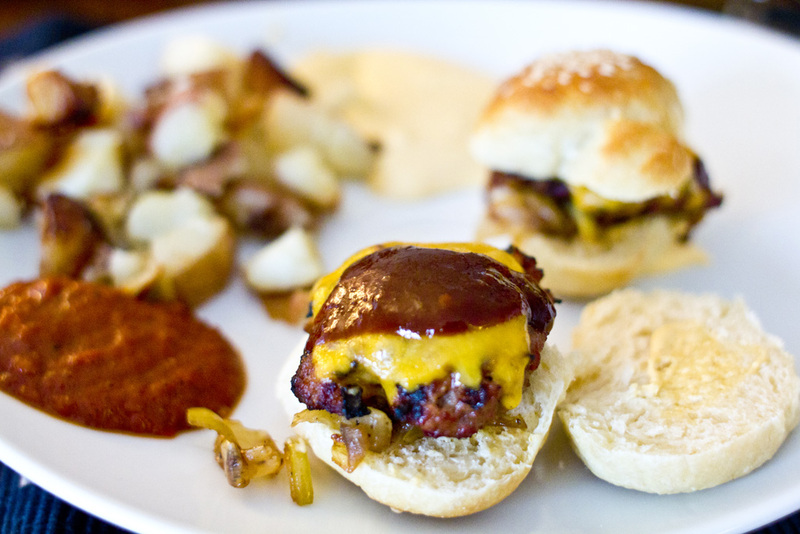 I realize some of you are going to find it extremely controversial that I put bread in my sliders. Don’t knock it till you’ve tried it. I mean it. If you grind your own beef, and have a hot enough grill to get a sear on these while they’re still pink in the middle, you can skip the bread. But I often have to use storebought ground beef, and that means it has to be cooked all the way through. That’s where the bread comes in, by soaking up the juices and fat, it makes these sliders a real, juicy treat. Slice your onions the way you want them, and caramelize them in a frying pan with the butter, some salt and pepper, and about a tbsp of sugar, on low heat for 30-45 minutes. You can do this the night before, store in the fridge and just reheat. Get a good hickory smoke going on the grill before starting grilling, I use water-soaked chips for this to maximize smoke, since they’re only on there a couple of minutes. Put them on the grill. About 2-3 minutes should be enough, flip them, put the cheese on the finished side, and give them another 2-3 minutes. Serve!